The Rum Factory of Santa Cruz is located in the municipality of Santa Cruz del Norte, Mayabeque province. It has a total area of 35.1 hectares and a covered area of 73788 square meters. Its construction dates back to 1919 and it initially was only a distillery to produce alcohol and other spirits. The rudimentary factory was built in a village environment among fishermen´s ranches, who enjoyed the benefits of the sea in a suitable climate for sugarcane production and to obtain its derivate. Closer in time, specifically in the decade of the 70s, a total refurbishment of the old building was made. The factory was remodeled and new facilities such as another distillery, a production plant and bottling spirits aging stores and offices were constructed. 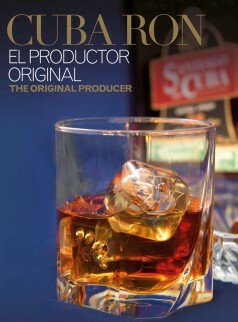 When Cuba Ron SA Corporation is created in 1993, the Santa Cruz rum gets integrated to its corporate system. Currently, there, white and gold rums Havana Club brand, product leader of Cuba, are produced, which like the rest of the productions of this company, hold the Cuba Protected Designation of Origin (PDO CUBA).